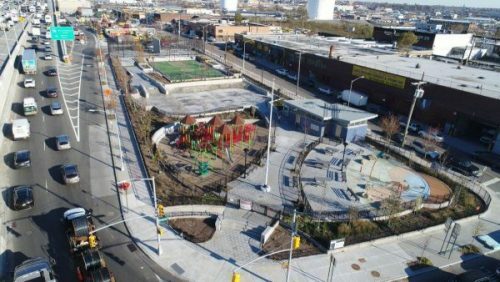 The Greenpoint park was named in his honor in 1948. 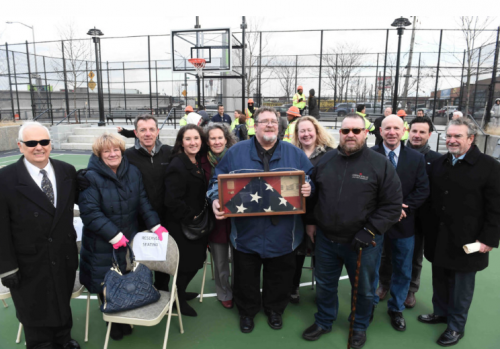 Dougherty was born near the park on Hausman Street on November 9, 1921, and as a child, he played in the park. He graduated from high school and was a messenger boy for employment. He was 5 feet 6 inches tall and weighed 126 pounds when he enlisted in the “ Fighting 69th” New York Irish Regiment that had won fame for its valor in the Civil War and in World War I, and was even the subject of a film made about the famous regiment’s exploits in the Great War. 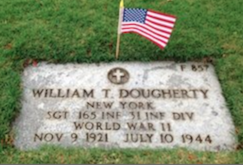 Dougherty enlisted in the National Guard Regiment before the attack on Pearl Harbor. The Battle of Saipan was part of the strategy of island hopping that the Americans used to near the Japanese home islands. The Japanese Navy was badly defeated in a battle before the American attack on the island, so the Japanese defenders knew that no relief or reinforcements would arrive to help them. They determined to fight, though, to the last man and their dogged, heroic defense of the island cost many American lives.”Hell’s Pocket”, “Purple Heart Ridge” and “Death Valley were the names American soldiers gave to the fighting grounds signifying the harsh conditions. The Americans had to use flame throwers and grenades to kill the suicidal Japanese defenders of the island, resulting in heavy casualties for Dougherty’s unit. One of the most tragic aspects of the battle was that civilians also fought and died in suicide attacks. On July 7th, a banzai charge by remaining Japanese fighters became famous for its desperate courage. In the morning, 12 men carried a great red flag in the lead, the remaining 3,000 men surged forward in the final attack. Amazingly, behind them came the wounded, with bandaged heads, crutches, and barely armed. Three men of the 105th Infantry were posthumously awarded the Medal of Honor. Many others fought the Japanese until the largest Japanese Banzai attack took its toll. Dougherty initially survived this hell on earth, but a few Japanese, however, survived the Banzai charge and one of them must have killed Dougherty on the 10th of July 1944. 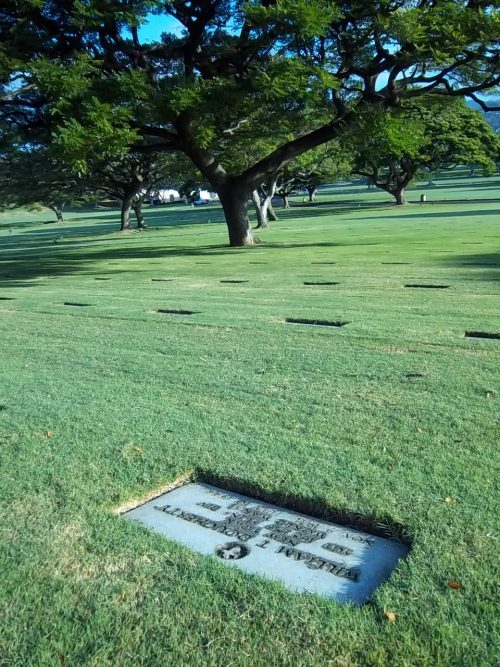 His body was eventually sent to Hawaii where he is buried.